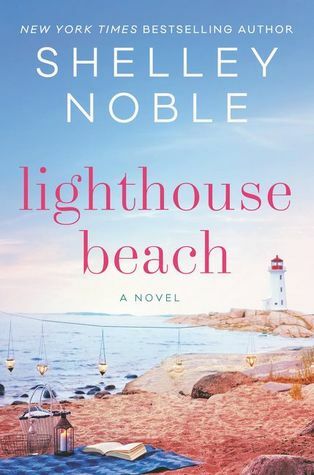 The Lighthouse Beach reunites Lillo Gray and her friend Jessica Parker after years apart. Jess has invited Lillo to her wedding. Lillo and Jess met when they were teenagers. Jess was sent to fat camp by her horrible parents despite not being fat. Now, the same parents are forcing her to marry a not-so-nice guy. Between Lillo and Jessica's two college friends, Diana and Allie, they'll steal the bride away and drive towards Lillo's town, Lighthouse Island. Once they get there, we start learning about these four women and who they are. Diana, the CEO of her own company, twice divorced and a love for horses and maybe the Vet in town. Allie, and the loss she has suffered. Can she love again? Then, there is Jess, the bride-to-be who didn't know how to stop her father from offering her for a marriage she had no desire to be part of. Last, there's Lillo who's hiding the events that made her stop practicing the job she grew up wanting more than anything else. There were parts of the Lighthouse Beach that were too predictable for my taste but others kept my attention. I love the feel of a small town. Everyone knows everyone and there's no way to keep them out of your life but when push comes to shove, a community comes together to help when it's most needed. It took me a while to warm up to Lillo. She was wallowing in so much guilt. She was terrified of having the other women learn anything about her. Half of the time, she thought about kicking them out of her home. She also didn't communicate well with the people who cared about her and her future. I love how Jess was able to stand up for herself when she needed too. In part, she was able to do it because she had the unconditional help from her friends. I wish Allie's storyline had more to it. I felt her predicament was glossed over. I wanted to see more of her and Nando together. I will say that in my opinion, the Lighthouse Beach was missing more in the romance department. It was also missing an epiloge. I would've love to see what the future held for these four women. A complimentary copy was provided by Harper Collins in exchange for an honest review.